1. At our new Riviera Village store and our Manhattan store we have ample parking, so you don’t have to fight the crowds. 2. We offer gift certificates that allow the recipient to shop for what they want, when they want. Join Mike and Darren as they take a walk from our former location to our new location: 1611 S. Catalina Ave., Suite 105. Enter the store on Avenue I, 3 doors west of Sacks on The Beach and across from H.T. Grill. Free parking in the underground structure off of S. Catalina Ave. Need a checklist for the LA Marathon or upcoming race? Check out our list below and download this ink-friendly version to add items to the list! 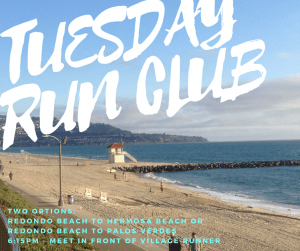 Join us at the Village Runner in Redondo Beach on Tuesday, October 3rd for a free fun run with Hoka One One! Bring your own running shoes or try out the newest Hoka Clifton 4, one of our store’s top-sellers! Bring a friend or make some new ones on this casual run with our group. Runners leave by 6:15pm so be sure to arrive any time after 5:30pm to get fitted with the right size! There is a nice variety of paces running between 3-7 miles every week. RSVP here or just show up! Only one week left to register for the MB10K! + Fun run with Hoka! MB10K ONLINE REG. CLOSES MONDAY 11:59PM! REGISTER:1. Online: www.mb10k.com until Monday, October 2, 2017 at 11:59pm. 2. In-store: Village Runner, Manhattan Beach until October 6th at 7pm. If you registered online, you need to pick up your Bib Number at Village Runner, Manhattan Beach. See dates below and know that the MB10K really appreciates you coming Wednesday 10/4/17 or Thursday 10/5/17. *Those who pick up their bibs on these days will have a chance to enter a raffle – several prize levels including a Village Runner $100 Gift Card! Raffle winners will be announced after the race via email. Summer’s gone, but It’s almost always sunny in the South Bay. Even on cloudy days, 90% of UV rays can still get through and leave you fried. Visit our stores today and checkout our large line of Sun Bum SPF skincare products to keep your skin protected year round. The Palos Verdes Half Marathon is Southern California’s most scenic Half Marathon and takes place on November 18, 2017. The event will also include 10K and 5K racing opportunities so grab your running friends and register for one of the events today! REGISTER ONLINE HERE.Village Runner is the proud Official Retail Partner of the Lexus LaceUp Palos Verdes Half Marathon. Packet pickup for the event will take place at the Village Runner in Redondo Beach on Friday, November 17th from noon to 7PM. 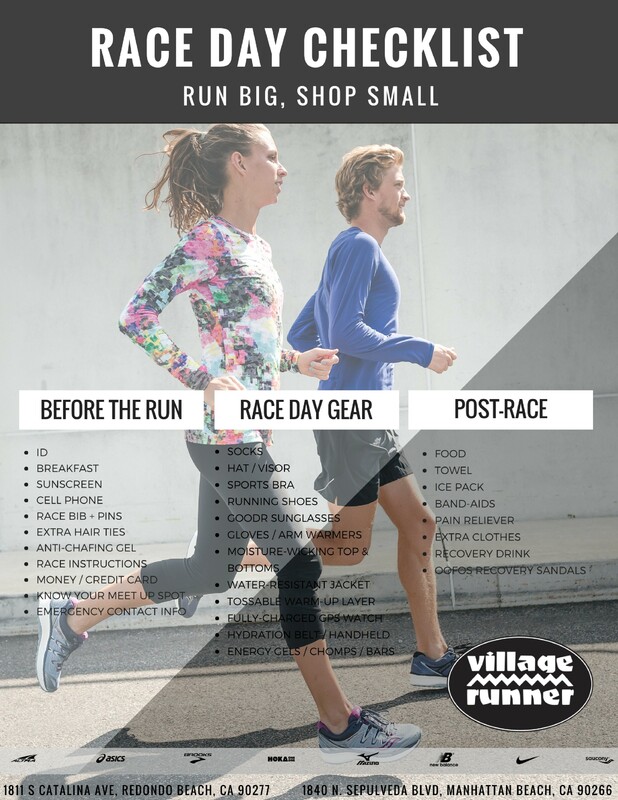 Riviera Village Sidewalk Sale + Local Races You Won’t Want to Miss! Be sure to visit the Village Runner in Redondo Beach this weekend during the annual Riviera Village Sidewalk Sale! Shop Saturday from 10am-7pm and Sunday from 11am-6pm. Save heavily on discounted sample apparel marked between $15-$45. Plus, save on some of our most popular shoes, some as low as $79. Additional select apparel will be 50% off! Visit HERE to register and for more race details. Village Runner is big supporter of the new Riviera Village Farmers Market! It’s just a block away from our store and takes place on Sundays from 9.00am to 2.00 pm in the triangle parking lot. It has been very popular with locals and vendors and is expanding in size rapidly with over 40 food and craft booths! 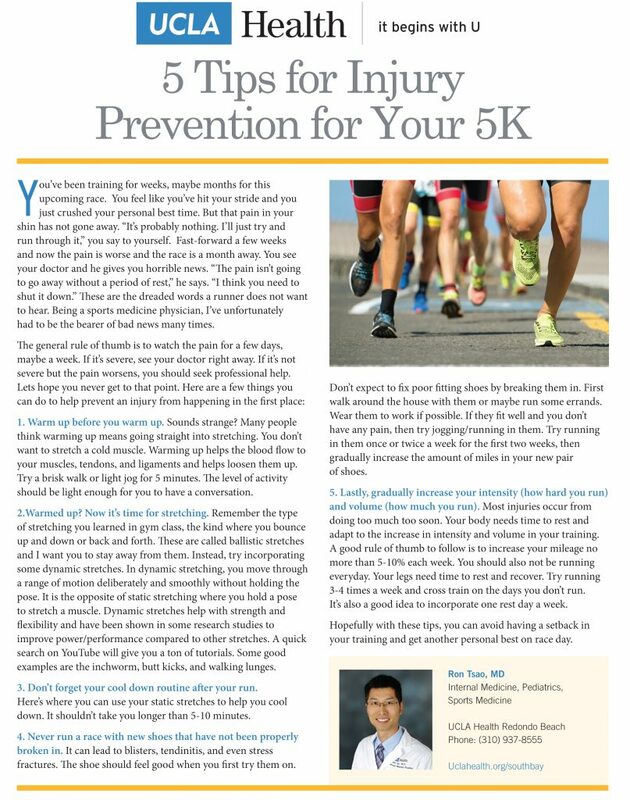 Our wonderful 4th of July 5K race sponsor, UCLA Health, is here to provide valuable tips on running injury prevention! Jamie Nieto, a two-time Olympic high jumper, actor, filmmaker, will be honored this year with the “Pathfinder Award” at the 24th annual Village Runner 4th of July 5K presented by UCLA Health. Previous winners of the award include distance runner, Kayla Montgomery, who has struggled with MS and two-time NCAA Champion track coach, Bob Larsen. Nieto, who has always forged a unique part in life, now faces his greatest challenge in continuing to forge his own path in life. “I was demonstrating a back flip and my foot slipped on the rotation, I hit my head and was partially paralyzed,” said Nieto. “I am on a mission to recover 100 percent. I walked 200 steps recently without a cane,” said Nieto. “The biggest struggle to get back is patience. I hope to make a full recovery within two years,” said Nieto. Nieto has a best of 7’8 ¼” (2.34 meters) in the high jump which ranks as one of the top jumps ever by an American. Nieto is a 4-time National Champion, 3-time All-American, 2-time Olympian, and in 2012 was the oldest American high jumper to make the Olympic team, at 35. Nieto has also excelled in acting, starring in Baseball’s Last Hero: The Roberto Clemente Story. Other film credits include The Encounter, Kontrast, Jerusalem Countdown, and Red Line. Nieto also writes and produces including producing the upcoming web-series Blood Brothers. “It’s an honor to be the recipient of the 2017 Pathfinder Award at the Village Runner 4th of July 5K presented by UCLA Health. I feel blessed and hope that my achievements can inspire others,” Nieto said. Nieto’s high jumping career took him to 35 countries and also gave him the opportunity to meet former President Obama and basketball legend, Michael Jordan. Along with coaching, the decorated Olympian is now following his passion for writing, acting, and producing films. Nieto is from Seattle, Washington and was raised in a single parent home in Sacramento, CA. “As a Pathfinder, I dealt with a lot of challenges as a youth, including poverty and racism,” stated Nieto, who now resides in San Diego and has spent recent years coaching. Registration for the race, visit www.villagerunner.com and click on the event and registration link. Registration fees are $25 for children and $35 for adults prior to June 5th, 2017. Fees that are paid after June 5th will increase. Runners can either register online or register in stores with the printable form on the race website. Runners can drop off their forms at the store locations in Riviera Village or in Manhattan Beach during store hours: Monday-Saturday 10 am-7 pm, Sunday 11 am-6 pm. Race information is at (310) 375-2626. The 4th of July 5K run and community walk will begin at 8 a.m., and kids races for those ages 12 and under will start at 9:30 a.m. The race will feature chip timing, age division awards, and cash prizes to the top three overall racers in the 5K. All kids participating in the Firecracker Dash will receive medals for running too. Prior to the start of the race, there will be the Red, White, and Blue Costume Contest with prizes awarded for the best running costumes. All racers are encouraged to dress patriotically and will receive a unique 4th of July Run t-shirt. 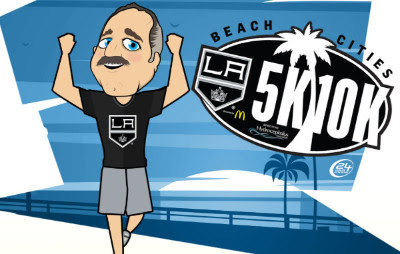 The race is expected to have 3,000 to 4,000 participants for the 5K run and community walk and will take place in Riviera Village, Redondo Beach, CA. Racers as old as 89 and as young as 4 years old participated in last year’s 4th of July 5K. The 24th Annual Village Runner 5K and Firecracker Dash is presented by UCLA Health. The Presenting Media Sponsor is TheSound 100.3FM. The Exclusive Automotive Sponsor of the race is Rusnak South Bay Alfa Romeo. 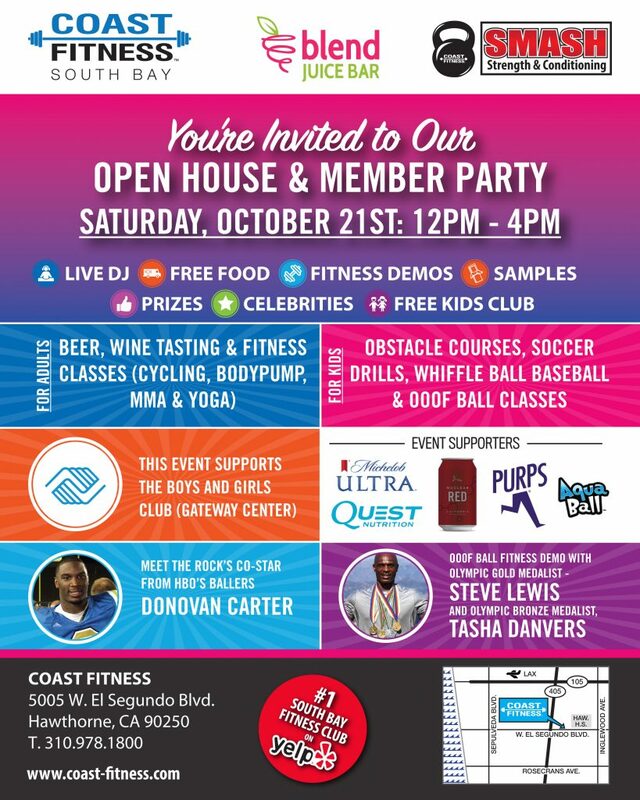 Coast Fitness is the official health club. Other race sponsors include the Plaza Del Amo Animal Hospital. Recent honorees for the 4th of July 5K have included Lipscomb University distance runner Kayla Montgomery, Coach Dean Lofgren of El Camino College, former UCLA coach Bob Larsen, and four-time USATF Olympic team member, Martha Watson. • Start Your Summer on the Right Foot! Come on out for the lowest tide of the season. Run, walk, or baby jog along the sea. Bring the family for the kid races and then stay and play on gorgeous Manhattan Beach.